While incense has played a significant role in religious and cultural practices, it is also burnt for aromatic and therapeutic purposes. From acting as a natural air freshener to improving sleep quality, incense is undoubtedly becoming increasingly popular in Western countries. Read on to find out more about the wonders of incense! What Are The Effects Of Using Incense? How Should I Use Incense? Incense is more than just an odor eater or an air freshener. It provides both psychological and physical benefits to its users. The main effects include aiding insomnia, reducing tension and anxiety, fighting depression, relieving headaches, preventing infections, heightening sexual desire, boosting confidence, increasing motivation, stimulating creativity, and enhancing focus. Even monks and priests have used incense for its concentration powers, couples have used it for sexual stimulation, and artists for inspiration to their creativity. The use of incense enhances focus and allows one to concentrate better on the job at hand. The use of special incense helps in clear thinking and in the development of complete attentiveness. Jewelry makers and monks take recourse to incense during their long hours of work and meditation. Similar to thinking of happy thoughts or hearing beautiful music inspires your imagination, so does a pleasant aroma that gets your energy flowing and creativity soaring. The perfumes of incense can put one in a dreamy trance where imagination roams freely. Spiritual and religious gurus have always used incense for purification of the soul and air. 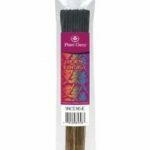 Specific incense emits smoke having fungicidal, insecticidal, and antibacterial properties which do purify the surroundings. Incense is said to drive away negative energy and increases positive energy. The purified air is akin to healthy food for the body and brain which motivates the soul and increases the level of energy. With an increase in motivation, creativity, and focus, naturally, there is also an increase in confidence. It depends on the type of incense you have purchased. 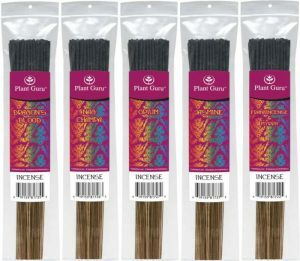 If you purchased Indirect-burning incense, you will need a constant heat source to keep it lit. If you bought the direct-burning ones, they have an ignitable base that binds the incense together. Simply light the incense with a flame and then blow out the flame. The embers will slowly smolder and produce the fragrant scent and smoke. After lighting one end of the incense stick, let the flame burn for a few seconds until you see a glowing ember at its tip. After the incense is properly lit, place it in a holder. If there is a bamboo or wooden stick at one end, place this end in the holder. When the container is a filled with salt, rice, sand or grain, push the bottom part of the incense deep into the container’s contents to make it stand erect or at a specific angle. If your incense product is held at a certain angle, make sure that the tip of the incense is not pointing towards any inflammable item. Next, make certain that the glowing tip is within the perimeter of the holder. This allows the ash to fall directly into the container for ease of cleaning. Incense sticks usually last for 20 to 30 minutes and this depends on the thickness and size of the stick. Don’t leave your rooms unattended when incense sticks are burning. During an emergency, calmly extinguish the stick by dipping it in water or by pressing the tip against a hard surface. Incense products emit smoke, thus it is advisable to use them in a well-ventilated room. You should note that incense products should not be placed near a door or window because incoming drafts of wind will cause the incense to burn at a faster rate. You also need to keep the incense away from anything that may catch fire like drapes or curtains. 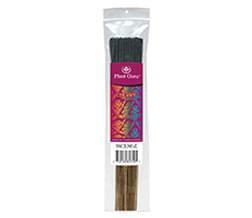 Stick incense products are typically made with fragrance oils and punk sticks. All the components of incense are made from natural materials. For example, the sticks are known to be made from bamboo. The upper portion of the sticks are then coated with sawdust from machilus wood (they are highly absorbent and retains fragrance well). In most cases, incense products are made from natural plant gums, honey, and ground herbs. In olden times, burning of berries, cedar, resins, and roots were considered to be incense. These natural ingredients are even used today in the making of incense. The making of incense is not rocket science and is very easy to make. You will need bamboo sticks either of 7 inches or 10 inches in length. You will also need wood glue, charcoal powder, sawdust, sandalwood powder, and paint. Depending on the fragrance of incense you intend to make, you can choose from fragrance oils such as patchouli, mogra, jasmine, sandalwood, or rose. 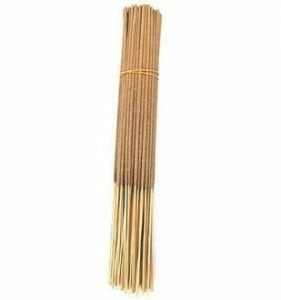 Initially, you require top quality materials to make loose incense. The choice of resins, woods, spices and herbs is yours to choose from. For resins, you may choose from myrrh, hibiscus, amber or frankincense. For woods, you have agarwood, cedar, sandalwood or pine. As for spices and herbs, you may choose from sage, cinnamon, vanilla or ginger. It is advisable to use at least one resin and wood while making incense. After pulverizing these ingredients into a fine powder, you may add charcoal powder and a binding agent to it. You can also add a combustible substance that is also water soluble. The binding agent allows the mixture to be formed into either sticks or cones. Slow addition of water to this blend allows the mixture to be firm yet pliable and gummy. Once the blend achieves the right consistency, it can be left to harden before it becomes the final product.